EVgo is trying to attract property managers (at least in California) by offering free DC fast charging stations in the parking lot, without installation or energy costs. The infrastructure will belong to EVgo, who seeks to expand its charging network and capitalize in the longer term. Update: EVgo did have a video walk through online, and very quickly after this story was published has apparently made the video private. Or perhaps they did not intend to originally make it (or this news) public in the first place? In either way, for now, it is offline (see video link below), but we still have a recap of the program and some quotes from the company. Why should retailers be interested in getting free DC fast charging stations? Well, EVgo brings some stats that shows that 64% of EV owners choose where to shop based on availability of charging. 90% are charging their cars while shopping, so overall chargers increase business traffic. Property managers, Get electric vehicle fast charging stations at your business for free. We handle installation, maintenance and repair for free. 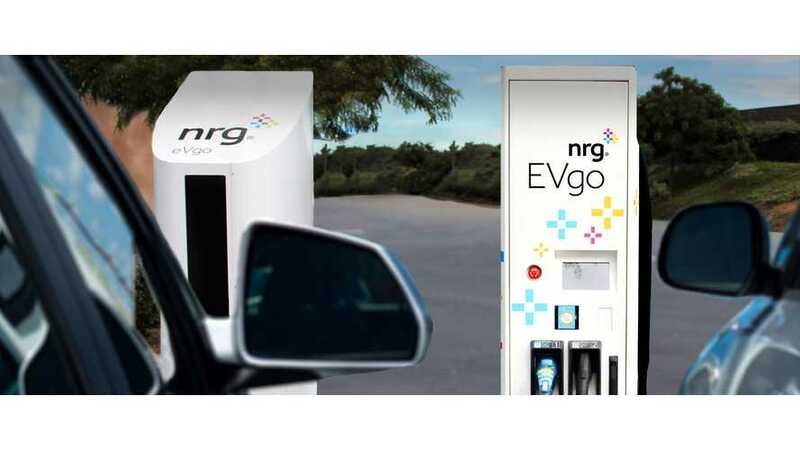 Electricity costs are paid for by NRG EVgo, not by you. Drivers shop more frequently at locations that provide EV Fast Charging. Step 3: Permits and installation"